I never can get enough of these beautiful bugs! 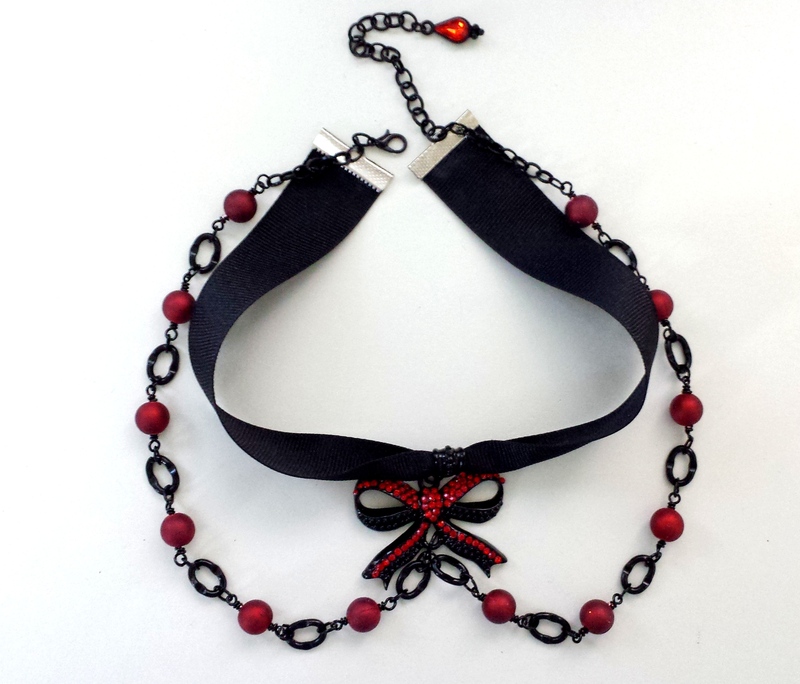 These are quite popular in my the Freak Show Follies Etsy shop so I continue to create these high demand buggy beauties. So many things in nature are beautiful including the insect world. These resin cabochons allow us to examine these lovelies close up and personal. Many of us think of the colorful feathers on birds or the many colors flowers come in when we think of the beauty found in nature. Take a moment to look at the amazing iridescent colors of a beetle. Now THAT is some incredible beauty! To me it’s even more lovely than a precious stone! 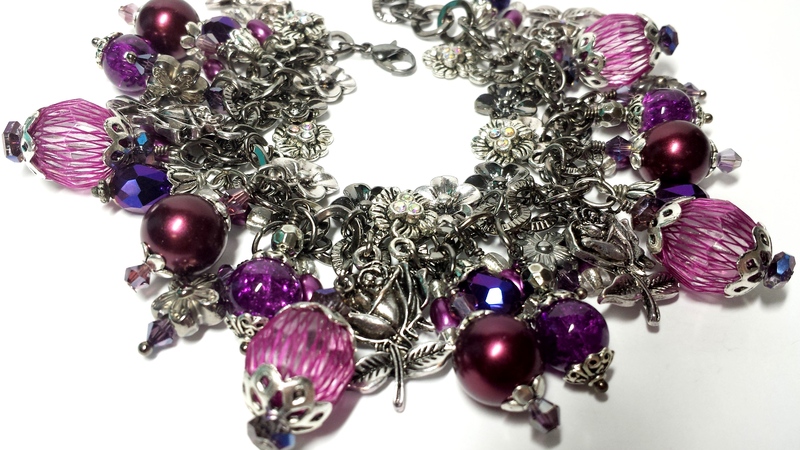 Wearing one of these ornate pieces is almost always a conversation starter. You will for sure get the same question first, “Is that REAL?”. When you say that it is, there are usually many other questions to follow. 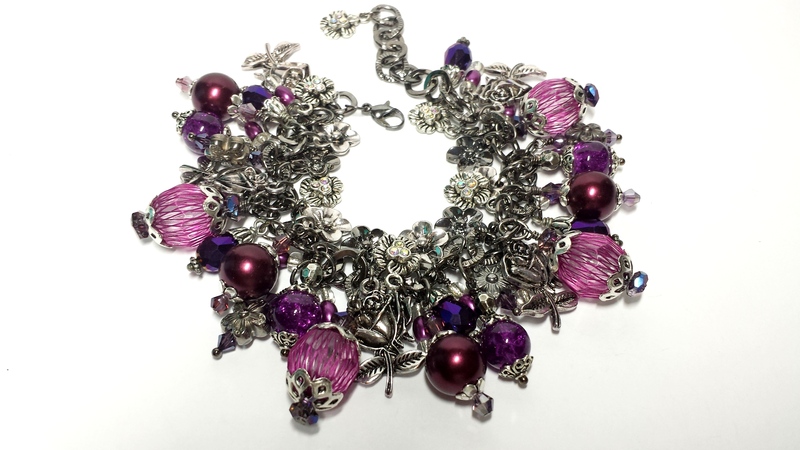 If you want to draw attention to yourself and get noticed, wearing a real bug cast in epoxy resin and made into an ornate piece of jewelry, is sure bet! Embrace nature and the FREAKY beauty in it! Thanks for following the Freak Show! 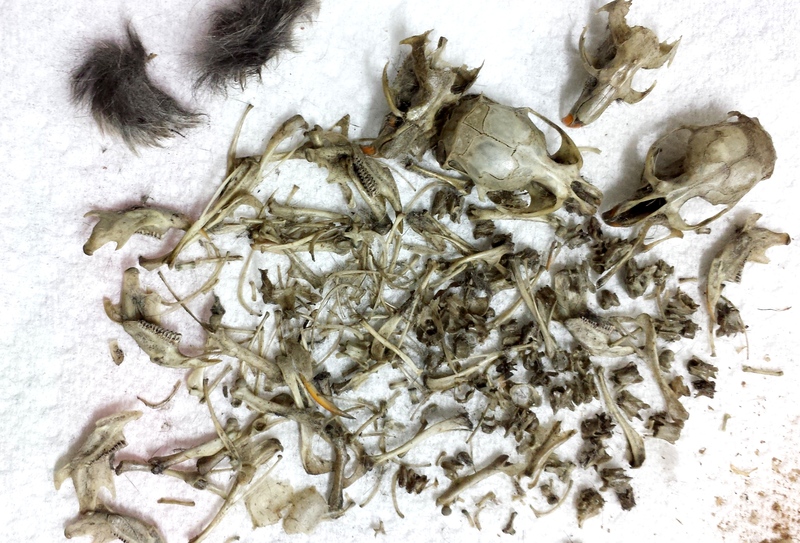 In February I began working with a lot of tiny taxidermy bones of small rodents that I have been dissecting myself from owl pellets. 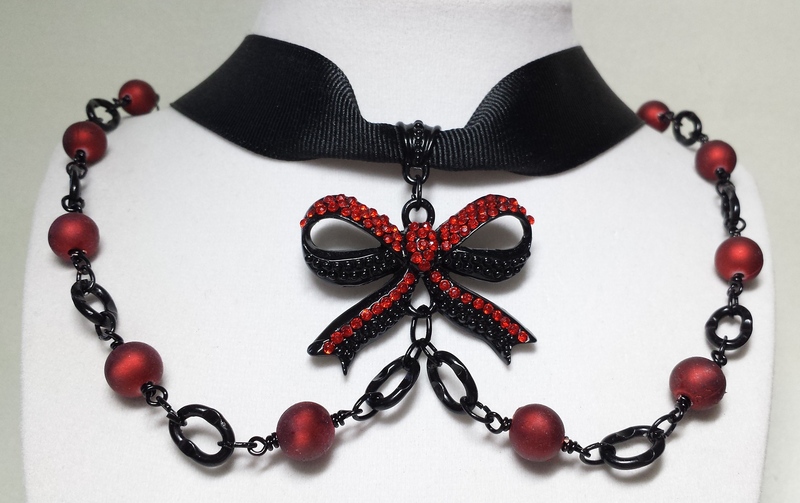 I have been hard at work in creating new and artful ways of displaying them in jewelry. You will see many of these new Freak Show tiny bone creations hitting the shop this month and some that are already there now. I’m so excited to be bringing, once again, a little something different for you to chew on. This picture below will show you what they look like before and after I have dissected them from the pellet. Gross? 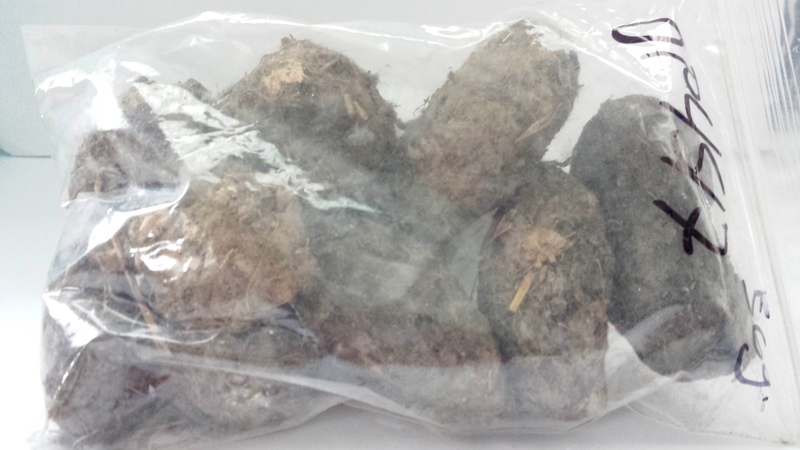 Not really…owls can’t digest bones and fur so the gack up a hair ball and spit them back out in these tightly packed dried fur balls full of tiny skull and bone treasures. 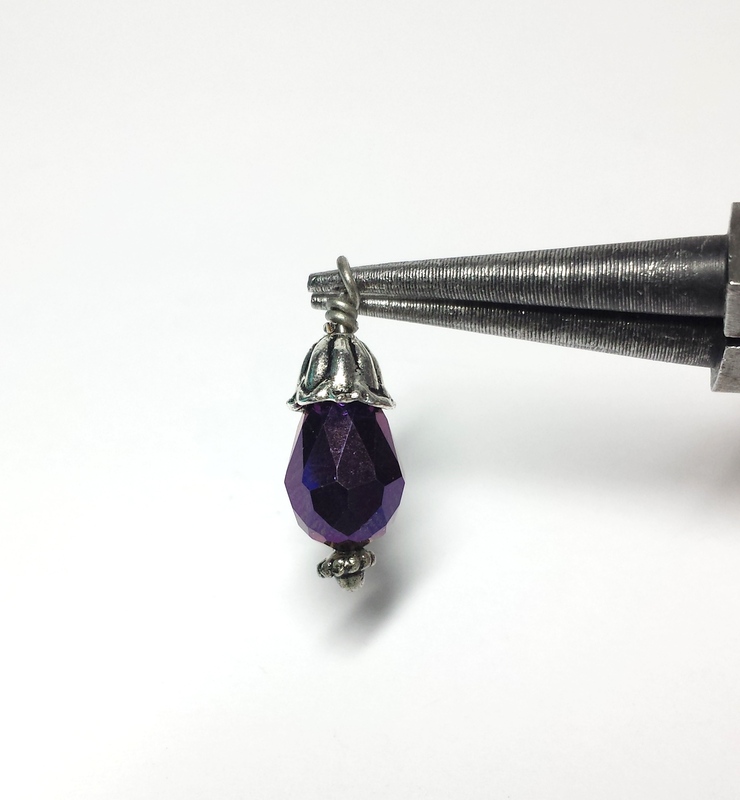 I am also aiming to create another new tutorial to share with you this month. I would like to cover some more basics with you and then in the coming months, bring in some more mixed media and more difficult projects to share. 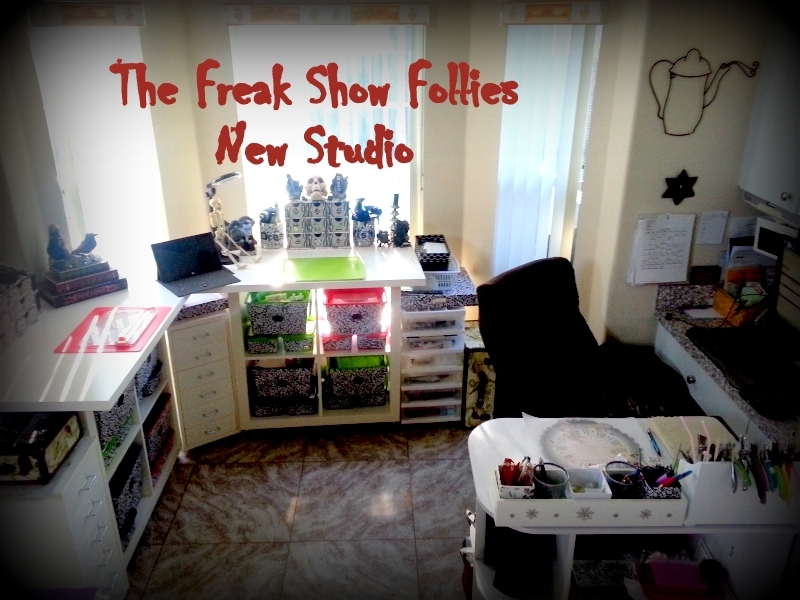 If you have something you want to learn, or something you want to see more of in the Freak Show Etsy shop, request it! I’m open to any and all suggestions and always look forward to hearing from you with them. Thanks for reading, following and taking that path less traveled! 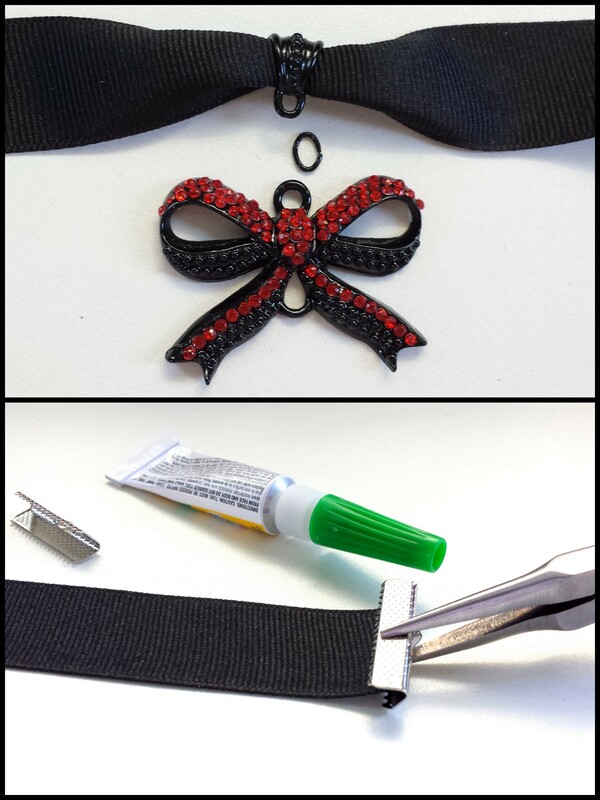 This is the first tutorial I’ll be doing here on my blog so I’m excited to share a little of my Freak Show methods with you! Having been an only child, my mother had to work extra hard at teaching me to share and I believe she was successful. In a jewelry industry full of artists that are completely secretive about their methods, I plan to be different and share and share alike. This isn’t rocket science or a magic formula, this is FUN! So, if you like what your learn and have the opportunity, share the fun with someone else out there and teach them too! I will be doing this in two parts and this is first part. 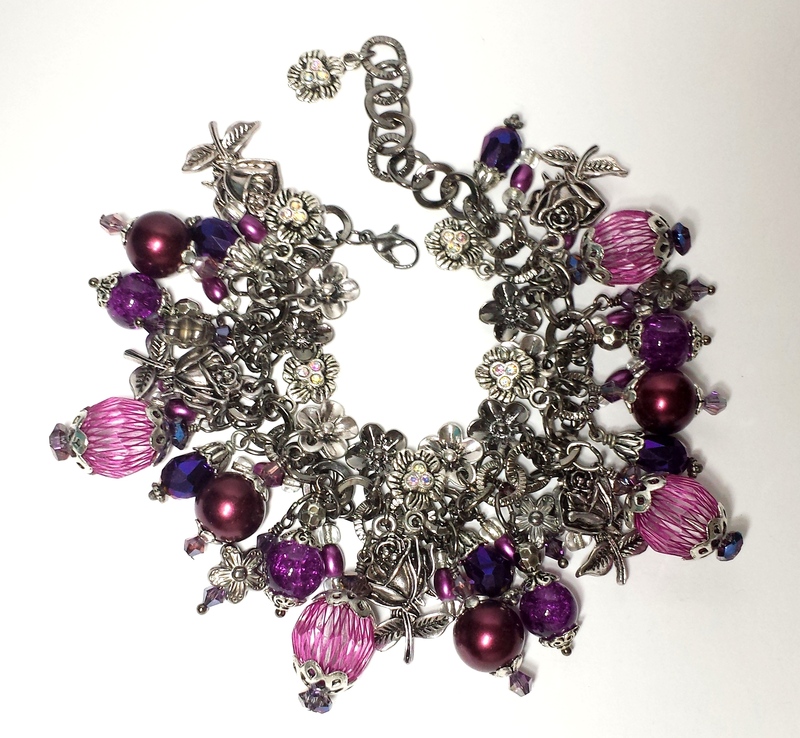 Charm bracelets seem to be a top seller in my Etsy shop and are the most requested type custom order I create. 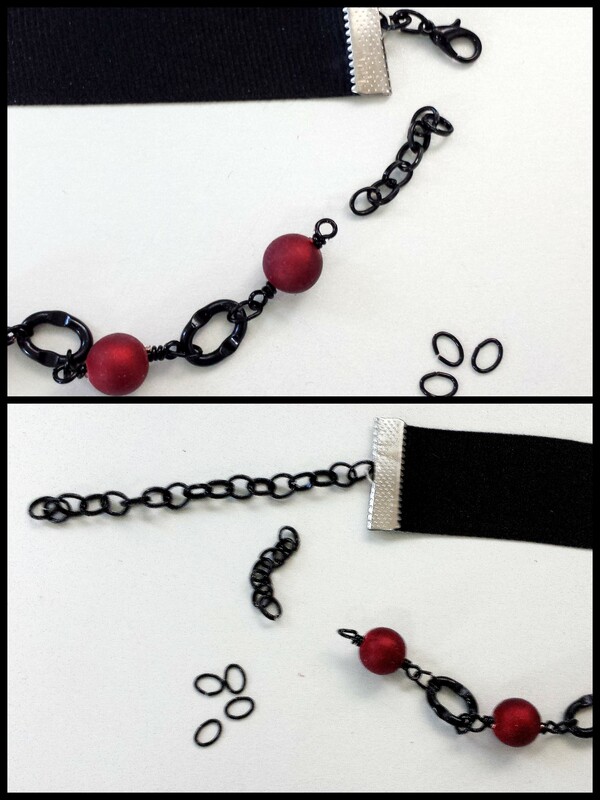 Usually these bracelets tell a story when I make them but for this tutorial, lets just begin with some basic lovelies to get started. Above you will see the items I used in the piece and many of them are Cousin brand. 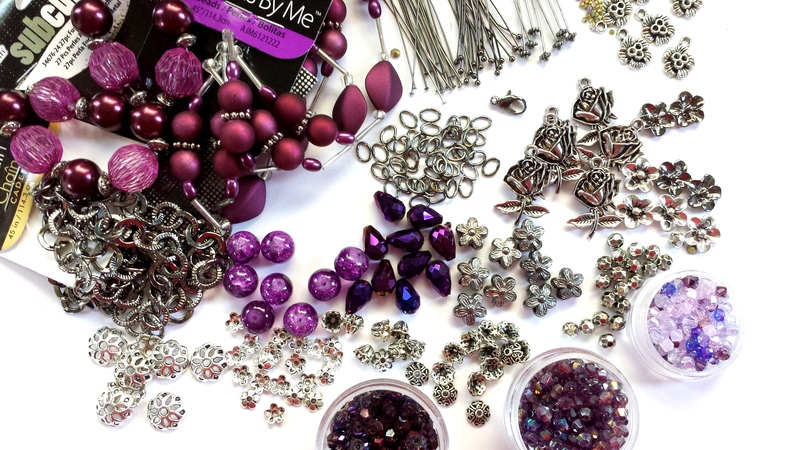 I know it looks like a lot of stuff and it is but these are VERY basic, easy to acquire jewelry findings, beads and charms. Feel free to use similar items and colors that YOU love. Sizes aren’t very important here. While one person likes a big and chunky piece, another may enjoy something on the lighter side. 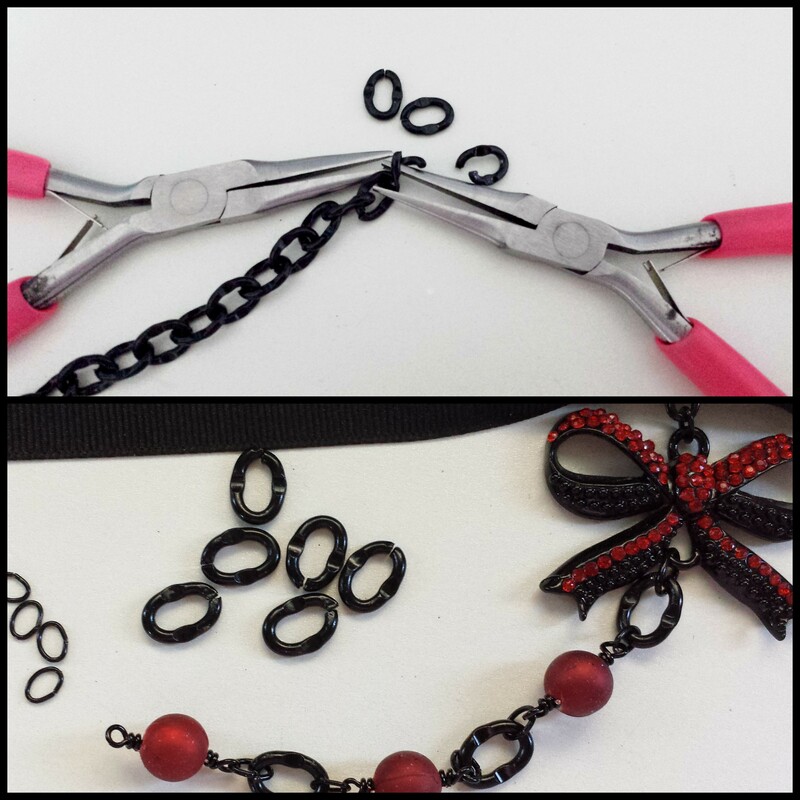 Although, the balance of the items used and the technique in which you build the bracelet is very important for the final product. 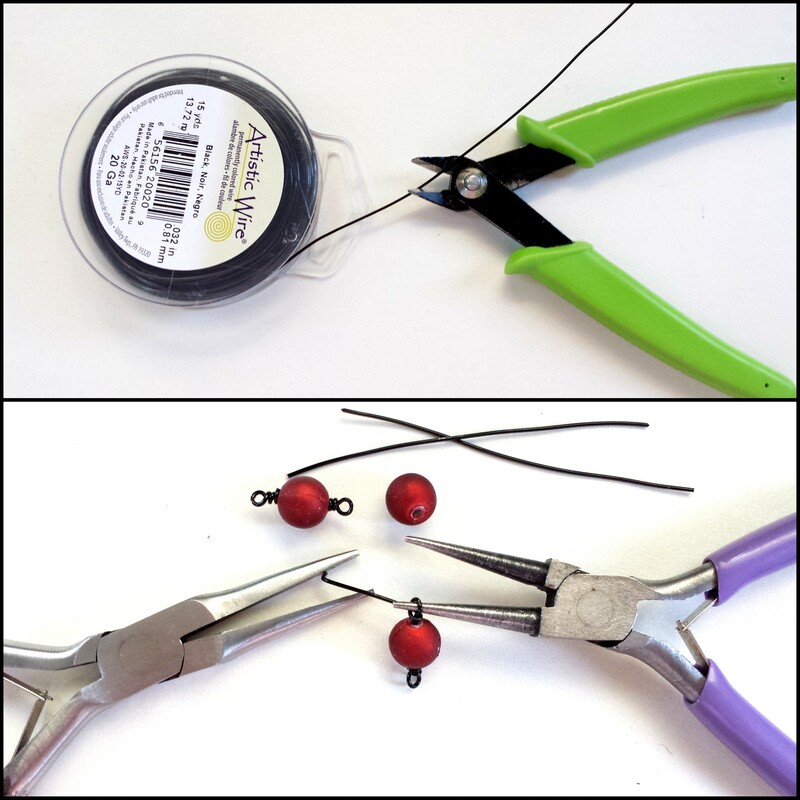 You will also need a bead mat, a couple of pins, a ruler, an etcher (optional), a jewel picker, a toothpick, a super fast drying gel type glue, a flush wire cutter, 2 long nose pliers and a round tip plier. I use the Cousin brand tools for my work and that’s is what you see pictured. 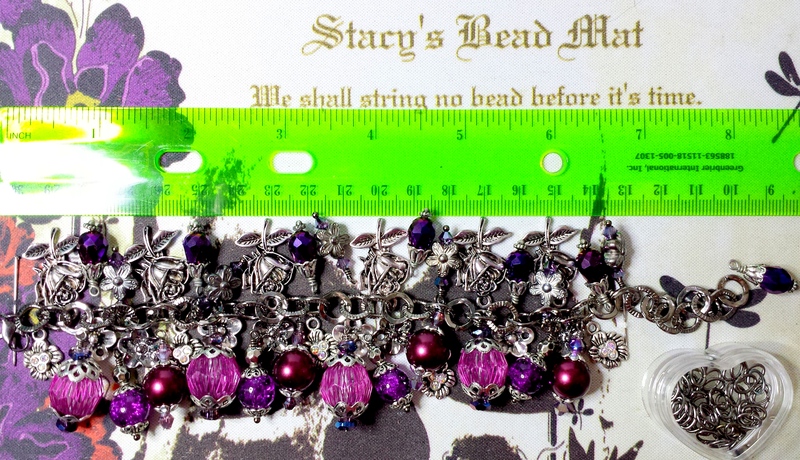 The first thing I need to do for this piece is set the tiny crystals into these flower charms. Whenever gluing something to metal, it’s important to rough up the exact surface area of it. I used a diamond tipped etcher to rough up the inside of these little bezels where the crystals will go before I begin gluing. I use a “superglue” gel type of glue to set crystals because honestly, jewelers glue takes too long to dry and this type of glue holds even better. I really don’t think one brand is better than the other but do make sure you are using the gel type. 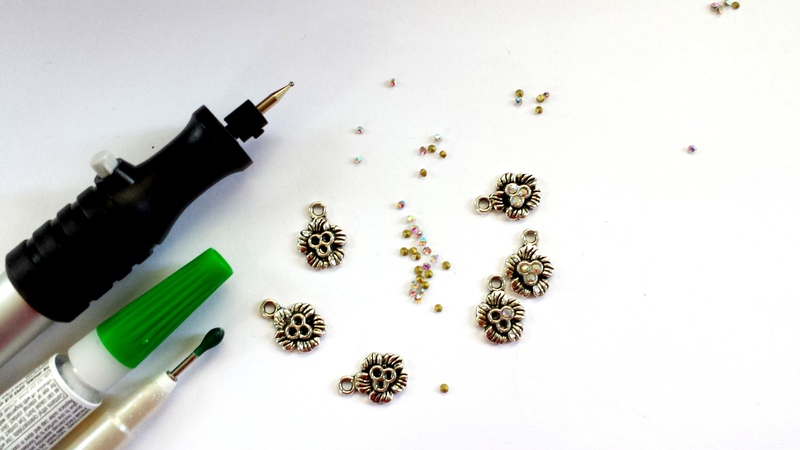 Use a toothpick to apply the glue into each tiny bezel area ( a little goes a long way) and then use a jewel picker to pick up each crystal to place them. 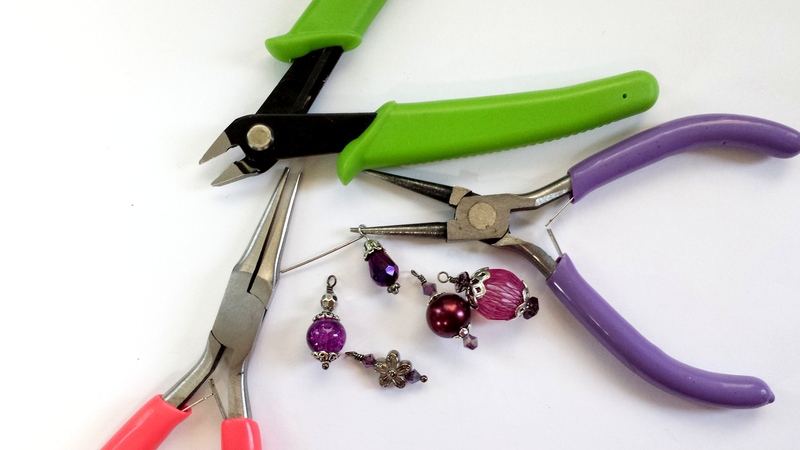 A jewel picker has a sticky tip and is a must for setting crystals. This needs 10 minutes at the most to dry. 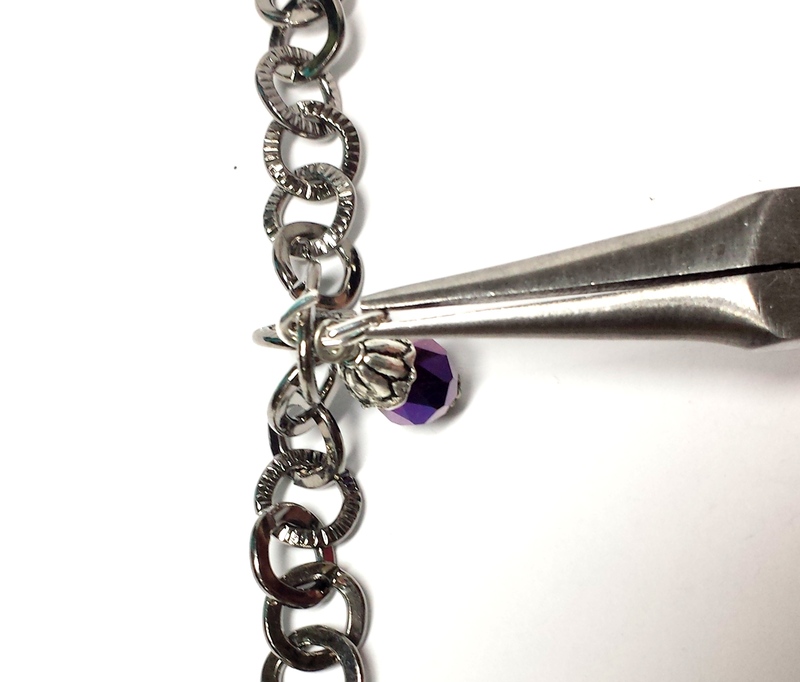 Now that you have set your crystals, you can remove a length of chain about 8 inches in length for your bracelet and use a jump ring to attach the lobster clasp. About 6 months ago I redesigned my eat in kitchen table area into a home studio area to accommodate my needs. It’s light and bright so I can see what I’m doing but even better than that, it’s MY place to create and it’s organized just like me. I’m a neat Freak so I LOVE organization! Lets take a look at some of the things I did to make it a functional place to create all the creepy goodness. This was the good sized eat in area of my kitchen. It already had a built in desk to the wall with cabinets and this is where I have spent my time working from home for HSN. At one time, I even appeared on the front page of the business section of what is now the Tampa Bay Times right here at the built in desk, promoting and being the poster child for the Work At Home program at HSN. I have been with HSN and working at home since 2006. Although in those pictures, this was not yet a studio and there was a kitchen table behind me while I worked at my desk. The Freak Show did not yet exist. I have to thank IKEA for making design of this space easy online with simple measurements and a design guide. I printed out a list of just what I needed and went straight to the store’s warehouse area. This list even included the isle and bin numbers so that finding everything was a snap. I chose table tops to sit on top of these cubby quad cube bases and also chose heavy duty wheels to hold a lot of weight to install on their bottoms. The white carts of drawers fit perfectly into the nooks and crannies of the space. 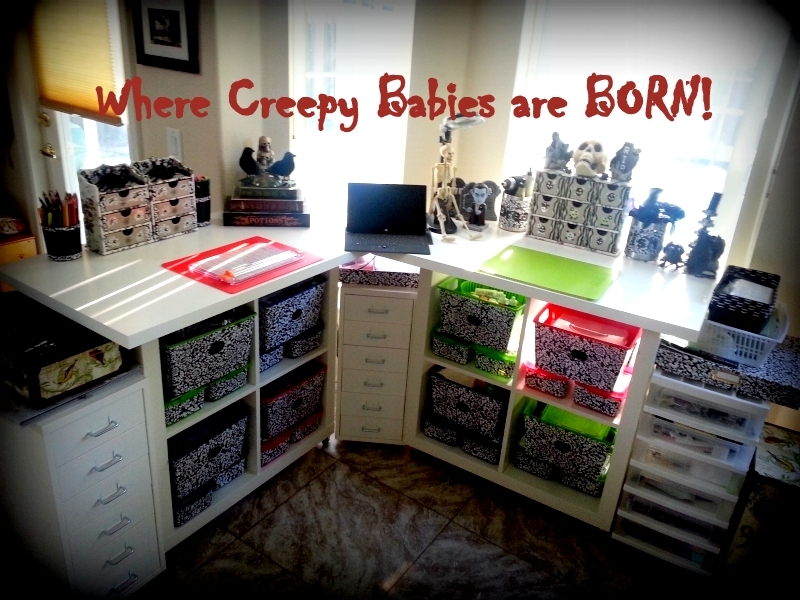 There are many organizational bins inside of those cubbies to make getting to things easy. These are simply bins and storage containers that I purchased at the Dollar Tree. 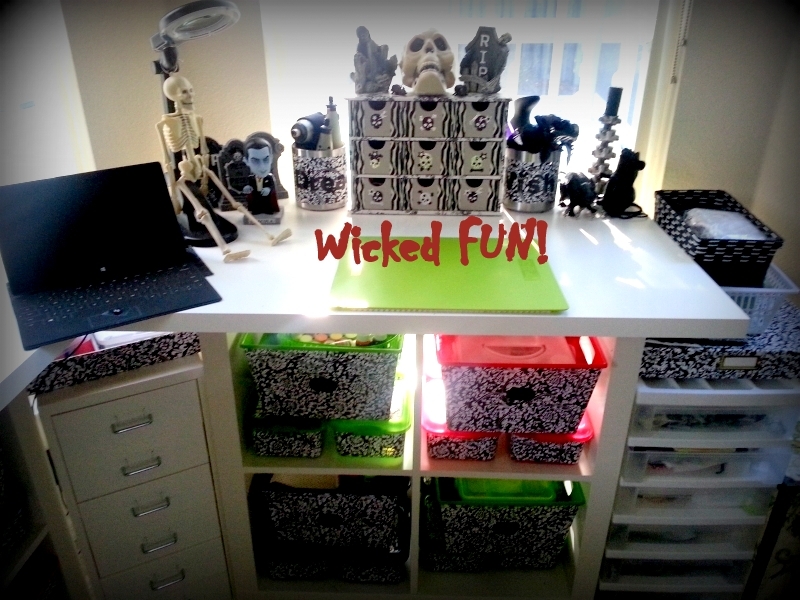 What a fun-tastical place of organization bliss that won’t break the bank! I covered these bins in a contact paper. 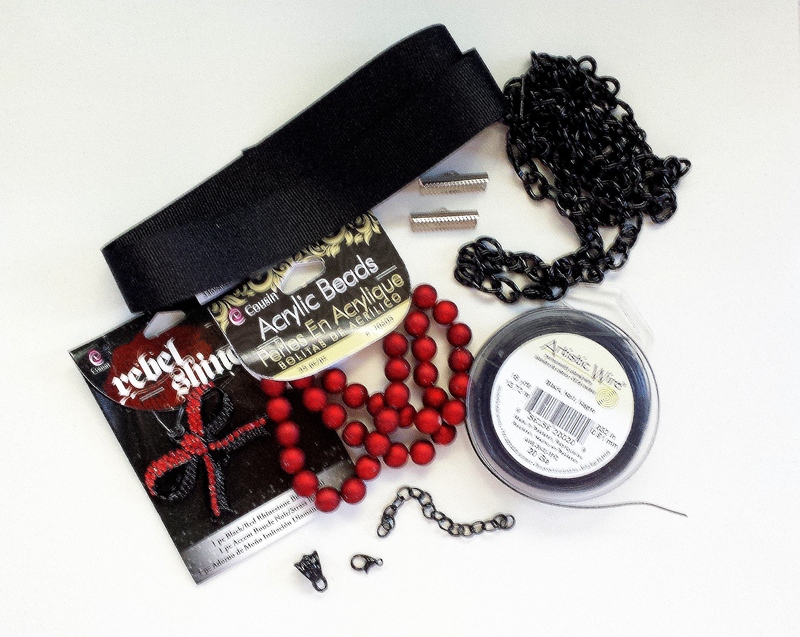 It’s easy to use and removable should I have a fickle moment and want to change the look. Inside of each bin are smaller bins and containers with sections. All the tiny pieces have a place and a home so they can be readily found. I applied chalk board stickers to the outside of each small and large bin. Why? Because if you are into organization the way that I am, you are constantly organizing and reorganizing. These chalk board stickers make it easy to label and re-label the bins. 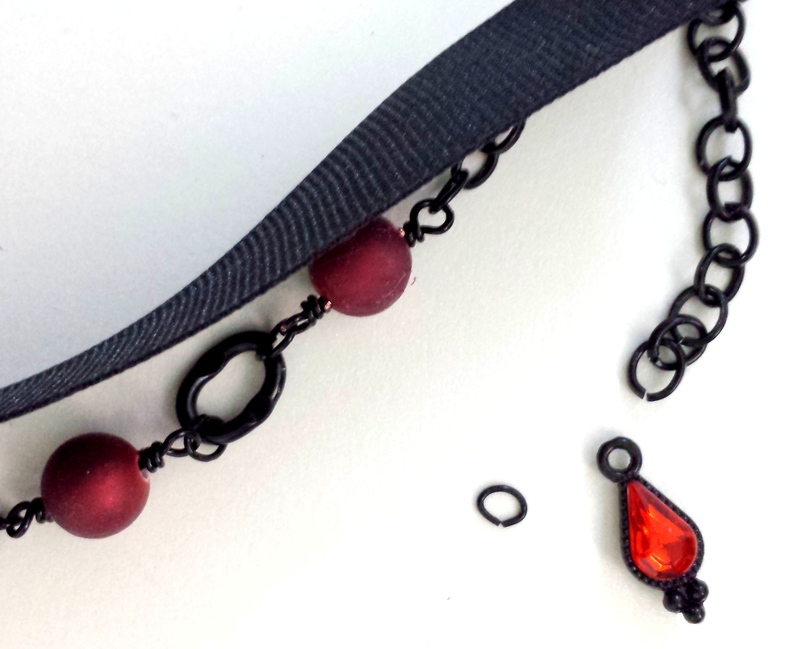 What may contain bling bling crystals today, may contain leather cording tomorrow. If you cant find these stickers, they are easy to make. Just purchase some chalk board paint from the paint section of your craft store and paint right over a round or oval sticker. It really is almost as easy as waving a magic wand. 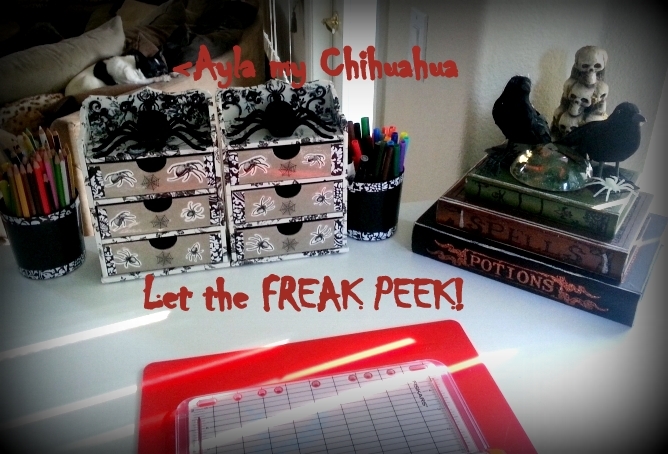 For my table tops, I got heavy duty unfinished chip board organizational drawers from HSN. I covered them with that good old contact paper and some creepy themed stickers. I love me some skulls and spiders! Everything on these table tops serves a purpose to my craft and are hidden away in the drawers and in the stacked faux books that open. A clear work space is key for the success of completing your projects as is the proper lighting. The lighting is so important as well when you are taking pictures of your work which you will see so much of as I continue this blog. 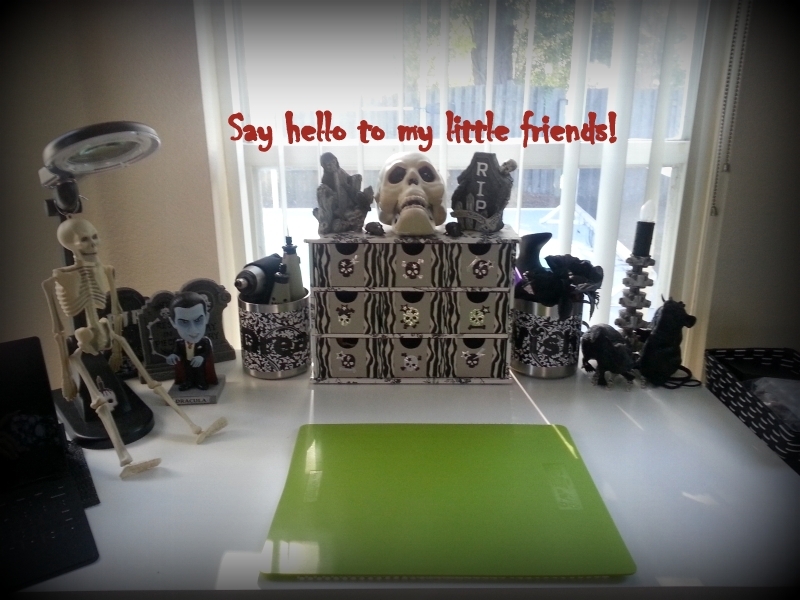 Many of my creepy little friends offer inspiration as I work on pieces and sometimes they even appear in the pictures with my work too. 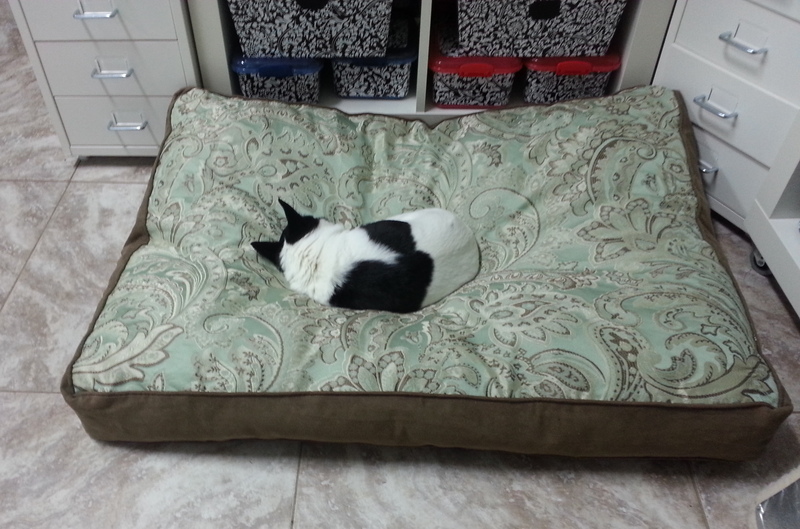 Lastly, no comfy pillow is too big for a Chihuahua. I bought this pillow to make it easier to kneel down on the tile floor when I need to retrieve an item from a lower bin. My Chihuahua’s name is Ayla and she has hijacked my pillow with all of her 5 lbs. She is usually right here with me while I’m working if she isn’t right there in my lap. My inspirations aren’t always from the creepy things. Sometimes they come from furry little bundles of joy. My name is Stacy and I’m a Freak! I have been this way since I was very young and became obsessed with classic horror movies at the age of 6 which fed my interest in horror movie make up. As an older child I continued on my freaky little path expressing myself by the clothes I wore, the jewelry I chose and the music I listened to. The older I became the less accepted it was to express myself in the same fashion. As a parent, I started to live a more toned down life with less of the color that reflected who I was on the inside. Now that my children have entered adulthood, I can finally be who I am by not hiding the freak that has been knocking at the window pane in my heart begging me to come out and play. This is my time to express myself, to design for myself and for others that stay true to their inner Freak and listen to their inner child. This is my Freak Show and all are welcome to join in and be the Freaks that they have always been. Let me take you with me on my journey and give you a behind the scenes look into how I design these amazing jewelry pieces for others and where I get my inspiration from.